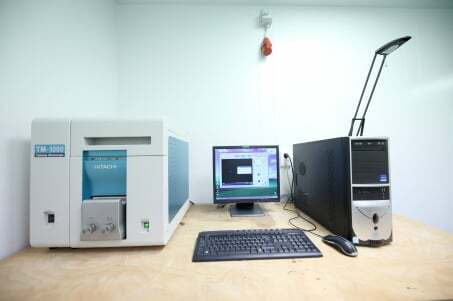 The AAS instrument serves for determination of chemical elements using absorption of light by free atoms. The wavelengths of the absorbed light are specific to the particular elements. 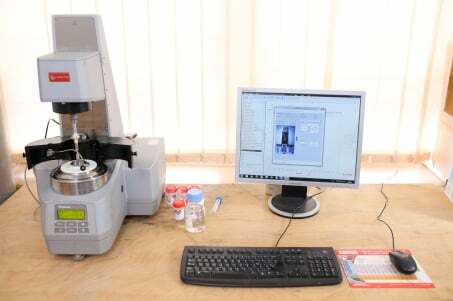 The instrument is suitable only for analysis of liquid samples. 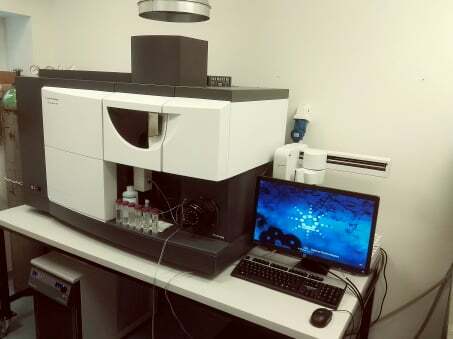 It provides a simultaneous, multi-element quantitive analysis of element composition of solutions or solubilized solid samples, even below ppm detection limit. Applicable to the identification of powder samples, bulk crystals, and thin film materials. Furthermore, it is suitable for determination of phase composition of crystal mixtures based on the identification of crystal structure. Dynamic Light Scattering is used to measure grain-size distribution in a very small grain size range (1 nm–5 μm). It analyzes the temporal fluctuation of the intensity of scattered light, the smaller the grain, the faster is its movement. The analyzer applies the „Non-intensive Back Scattered” technique while measuring the grain-size distribution from the scattered light. 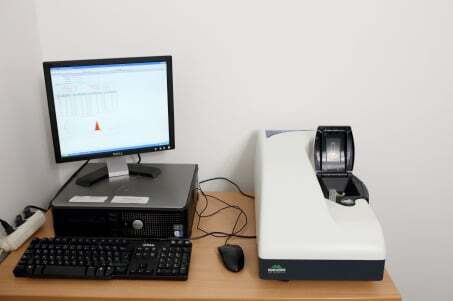 The other function of the analyzer is the so-called „Zeta-potential measurement”, that can be measured by laser Doppler electrophoresis. If the zeta potential is zero, the stability of the systems is reduced, particles can easily stick together, coagulates and aggregates may develop. If the zeta potential is positive or negative, the colloid system is stable, the particles mutually repel each other, the possibility of clumping decreases. 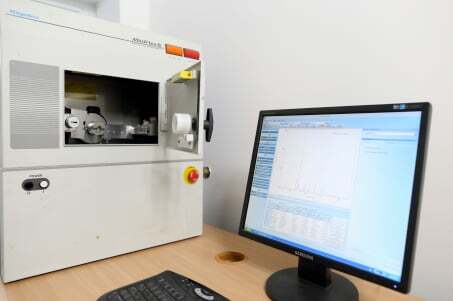 The instrument is applicable for the investigation of rheological properties of Newtonian (ideal) fluids, emulsions, suspensions, viscoelastic materials and melts. There are rotational or oscillating test modes. In case of rotation mode, the measurement can be performed by controlling the shear rate or the shear stress (CSR or CSS mode) typically for the ideal or nearly ideal fluids. Oscillation mode is specified in the measurement of rheological properties of viscoelastic materials. Amplitude or frequency sweep allows measuring the torque, phase lag, and complex shear modulus, from which the storage modulus and loss modulus (characterizing the elastic or viscous type of materials) can be found. 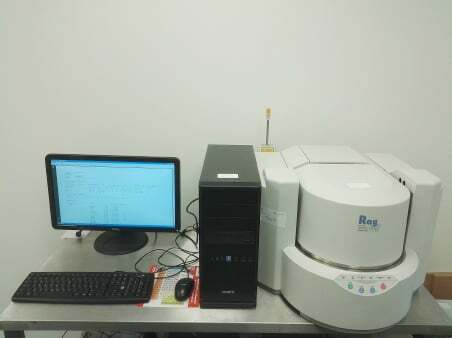 The test can be easily performed due to the automatic tool and configuration detecting system („Tool Master”). Peltier elements ensure fast and accurate temperature control. Raw data is collected and analyzed by Physica RheoPlus software. It is possible to Analyze liquids and melts with the melting point up to 1100 °C. 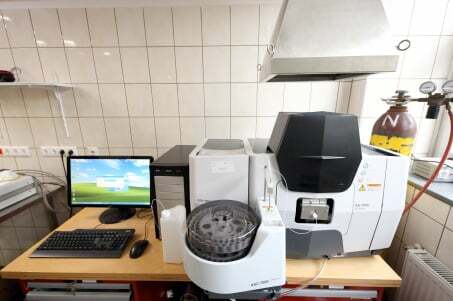 The instrument serves the purpose of qualitative and quantitative analysis of solid and liquid samples. Fingerprint-like phase identification, quantification, and mapping of several physical and chemical properties (e. g. chemical substitution, stress, defect density).